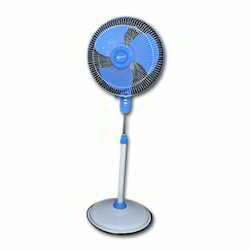 In order to keep pace with never ending demands of clients, our company offers Oscillating Pedestal Fan. - Versatile Three in one fan can be used as Ceiling, Wall and Table Fan. - Breeze in all directions. - Child proof guard for safety. - Available in 300mm (12'). We offer an exclusive range of Wall Mounting Fan that is useful in various commercial and domestic establishments for heavy duty operations. These are available in various specifications with complete durability. These are widely appreciated due to attractive designs and models. Relying on our expertise and know-how in this field, we are well-known as one of the prestigious organization in offering a wide range of Pedestal Oscillating Fan. This range of Pedestal Oscillating Fan is developed at well equipped production unit by making use of sophisticated machines and high grade quality raw materials. 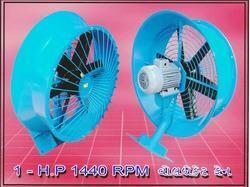 We are a leading manufacturer of High Speed Oscillating Table Fan. As per the necessities of the customers, we are involved in providing the optimum quality range of Oscillating Table Fan.